Members of The Club at Harper’s Point enjoy the benefits of our Advantage Club. Receive special discounts in dining, spa, shopping, entertainment, travel and automotive. To receive your special discounts at Advantage Club businesses, simply show your valid Harper’s membership card. If you don’t have a membership card, stop by the front desk of our Cincinnati health club to obtain one. Learn more about our Advantage Club partners by clicking on the logos below and visiting their websites. Thank you to our members and Advantage Club partners! Harper's members receive 10% off services. Fiber-Seal of SW Ohio & Kentucky has been in business since 1971. We specialize in protection and cleaning of all upholstery, area rugs, carpets and outdoor cushions, in residential and commercial settings. We are the area's premier carpet cleaning and protection company and are the only company to offer no charge spot visits for 1 year, upon application. Harper's members receive 10% off services. Click HERE to visit the Fiber Seal website. Receive a free tax planning session and special discounts! At Michael J. Wilhelm and Associates, our goal is to serve the public with the highest level of integrity and honesty. We are dedicated to you and all your different accounting needs and have been serving the Cincinnati area for over 30 years. Click HERE for more information. Members receive a free tax planning session. Also, 1040a and 1040ez eligible members will pay just $50. Members who have more complicated returns will receive a 10% discount on their bill (including accounting, IRS resolutions. Some exclusions may apply). Members who provide a referral outside The Club at Harper’s Point will get one $75 credit towards a bill. Limit one free consultation per family. Limit one referral per household per year. 10% discount applied to MJWA fee, only. Members receive 60% off Sterling Silver! Philip Bortz Jewelers is your full service jeweler, family owned and operated for 30+ years. They are experts in jewelry and watch repair, dealers of G.I.A. certified diamonds, precious gemstones and fine jewelry. In addition, Philip Bortz Jewelers will purchase or consign your diamonds or jewelry. Harper's members receive 60% off sterling silver jewelry. Two convenient locations: The Shops at Harper's and Downtown on 7th. Cannot be combined with other offers. Must show valid Harper's membership card. Harper's members receive 5% off GNC member pricing. Please show valid Harper's membership card. Offer good at multiple locations: Harper's, Kings Auto Mall, Rookwood, Glenway Crossing, Skytop Pavilion, & Western Hills Plaza. Members receive 10% off flowers! Members receive 10% off spa services! The Woodhouse was voted #1 day spa in America by Day Spa Magazine! Monday-Friday only. Must show Harper's membership card, no exceptions. Cannot be combined with other special offers. Members receive discount on DAY passes! Kings Island is offering Harper's members the "Best Day of the Year" experience with world-class thrills, award winning Planet Snoopy, & live entertainment. With a tradition-steeped history & more than 100 attractions to offer, Kings Island is the largest amusement park & water park in the Midwest! Harper's Members click here & enter promo code KI-HARPERS (upper right side of the page) & save 35% of the front gate price. Then, proceed to the secure check out. Offer valid for online purchases only. Members Receive Harper's Loyalty Card When Booking! 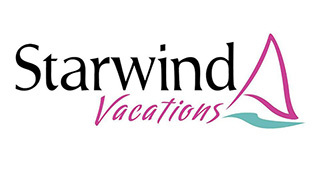 Starwind Vacations is a full service travel agency owned by Harper's Teaching Pro, Dennis Hensley. Contact Starwind and Dennis for your travel needs! Harper's members receive a $50 or $100 Harper's Loyalty Card for booking Caribbean all-inclusive vacations (minimum of 6 day cruises). Cannot be combined with other offers. Ken is offering 15% off! Ken Munson, official ATP professional tennis photographer, is offering Harper's members a special discounted price for "Action Shots" of your young athletes during practice or competition. These are not your typical posed team photos, but engaging photographs that vividly capture your child's execution, expressions, & emotions while on the court or playing field. Ken Munson has photographed all the greats from Nadal, Federer, Sharaphova, Djokovic, Murray, the Williams sisters, Bryan brothers, & more! Here's your chance to capture a priceless moment & magnify the essence of your child's talent in high resolution, full color digital print by an accredited professional sports photographer. Tuffys provides full service auto & light truck repair. Locally owned and operated, this Tuffy has been in business since 1996. Tuffy is a member of the BBB is very proud of its A+ rating. Tuffys provides full service auto & light truck repair. Locally owned and operated, this Tuffy has been in business since 1996. Tuffy is a member of the BBB is very proud of its A+ rating. Discount cannot be combined with any other offer or promotion. Finally a cafe in the Cincinnati area offering better nutrition for a busy lifestyle. Balance Cafe & Smoothies uses all fresh ingredients, made to order, in a quick service environment bringing you closer to better health. Whether you are vegetarian, vegan, or just in need of a healthier food option, Balance Cafe can help! Serving breakfast, lunch, and smoothies! Ask about catering, delivery, and box lunch options. Offer good for Harper's members only. Must show valid Harper's membership card. Discount cannot be combined with other offers. Which Wich is a fresh, innovative concept featuring superior sandwiches served in an edgy, magnetic environment. In addition to more than 50 customizable "wiches," Which Wich is known for its revoutionary ordering system - find the brown bag, red Sharpie, and your wich is prepared just the way you desire!Wich is known for its revoutionary ordering system - find the brown bag, red Sharpie, and your wich is prepared just the way you desire! deSha's is known for savory American entrees & warm hospitality - it's a great place to dine, drink, & gather. There is live music in the Grille every weekend & patio dining when weather permits. Reservations are accepted but not necessary. Must show valid Harper's membership card, no exceptions. Discount cannot be combined with any other promotions or special offer. Serving lunch & dinner only. Enjoy the freshest of everything, homemade chili, burgers, salads, chicken tenders, fish sandwich, & awesome appetizers! Great kid's menu too! Must show Harper's membership card, no exceptions. Cannot be combined with other offers. Not valid for carry-out orders, dine-in only.